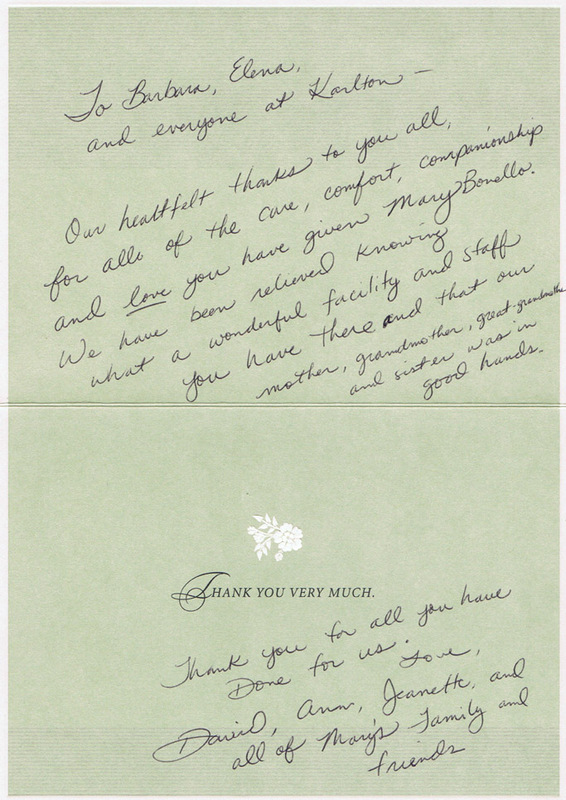 Hearing from our families is our greatest reward. 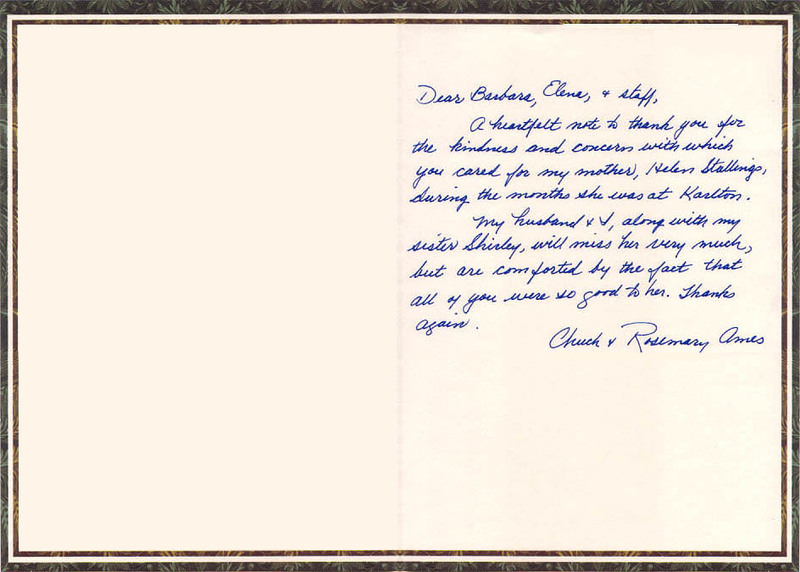 Read some of our testimonials below. 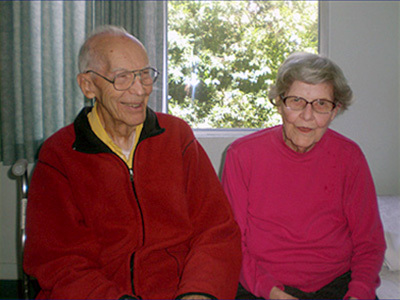 How one’s parents finish the last chapter of their lives is a difficult decision, generally, but even more difficult when they suffer from dementia. 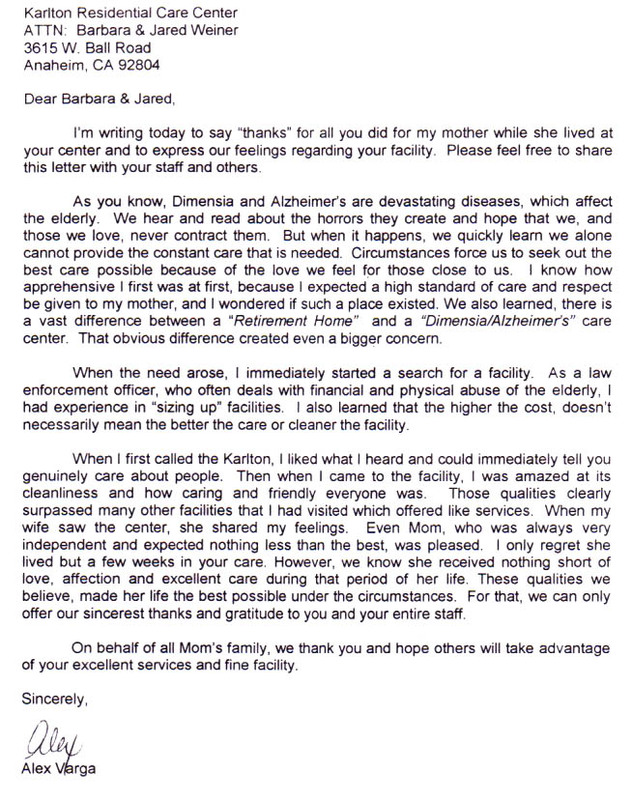 I will always be grateful for the wonderful staff at Karlton for the kindness, compassion, respect, and excellent physical care given to my mother and stepfather. I’m sure there are other daughters who wanted to keep their mothers close, to bring them into their homes despite how impossible that might be. 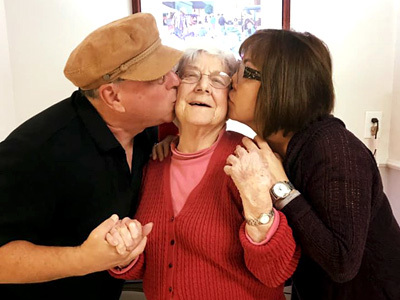 Before I ever moved my parents into Karlton, Barbara was a wonderful source of support, helping me understand what they needed, helping me explore all the possible options, and then helping me make what was one of the best decisions of my life. 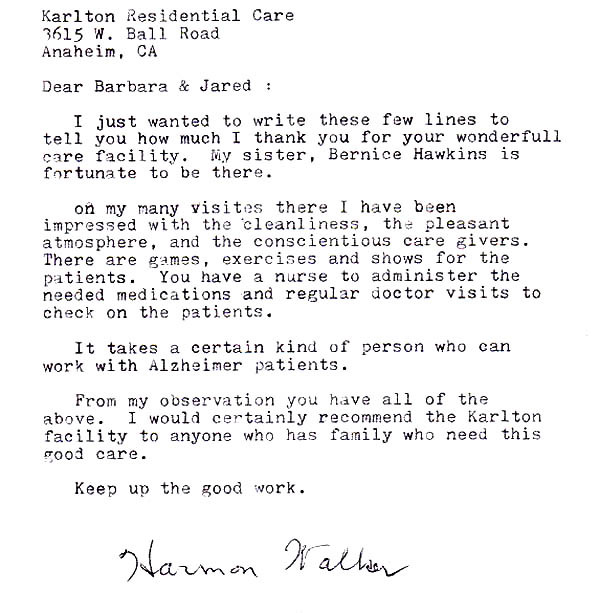 Karlton (Barbara and Elena and all the other caregivers) became partners - a very important relationship, a very necessary relationship. Did she want to be there? Of course not. My mother wanted to stay in the home she loved and to continue living the life she’d had...but she couldn’t. 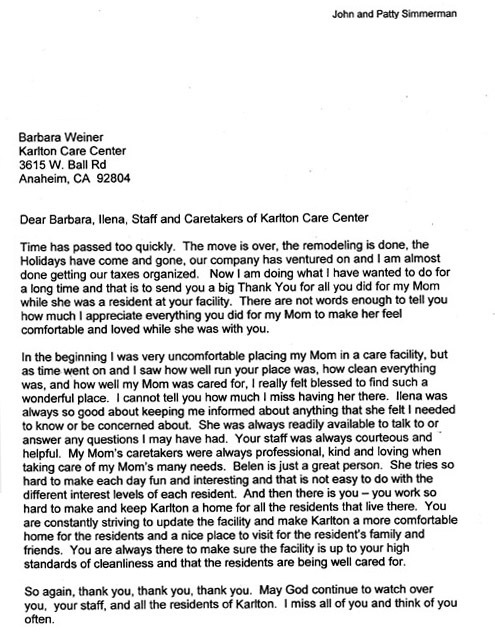 It didn’t take too long for my mother to understand Karlton was now her home, made much easier by the fact that the staff made it “feel” like home. 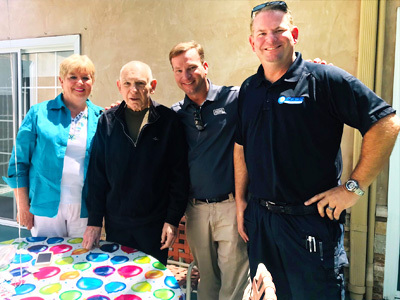 She made friends with other residents, became close to the staff, and found a kind of peace and day to day joy I don’t believe would have been possible elsewhere. 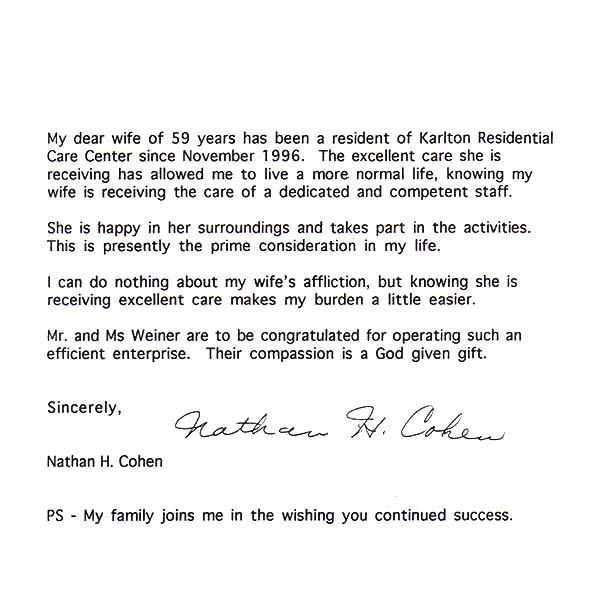 Unfortunately, Karlton was not my parents’ first residential care, for I’d made the mistake of placing them in a corporate facility, thinking a large corporation would have more resources, notwithstanding it was just slightly less expensive. In fact, it was hugely more expensive both financially and emotionally, a huge mistake. I can never repay Karlton for all they did, but I can talk with other daughters trying to decide what’s best for their parents. 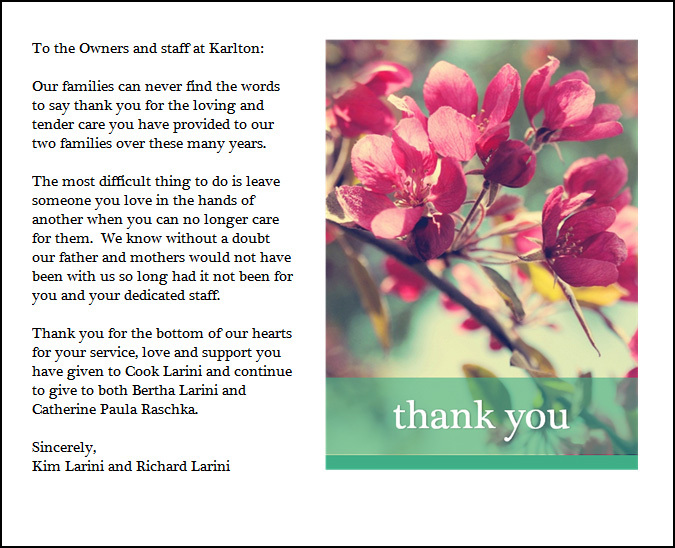 I write this note with a heavy heart, but with the deepest sense of gratitude to you and all the staff at Karlton, who made the most difficult time in our lives, more than bearable. 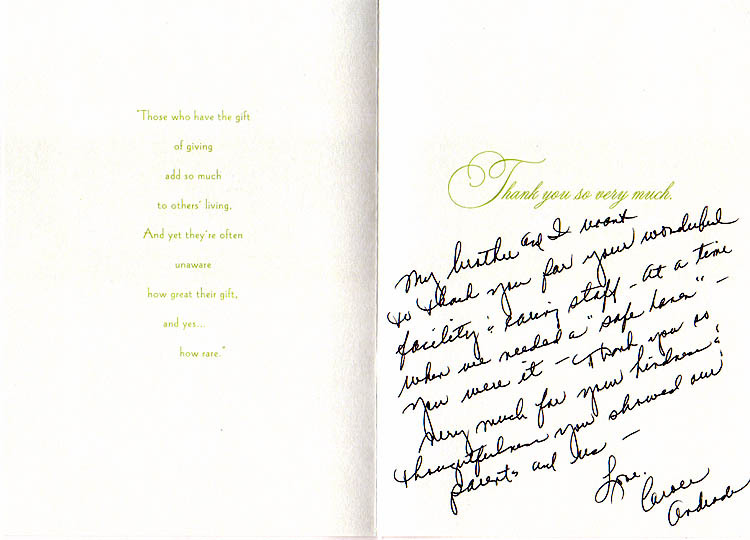 The love, kindness, and personal care that you afforded our mom, will be remembered with such overwhelming appreciation. 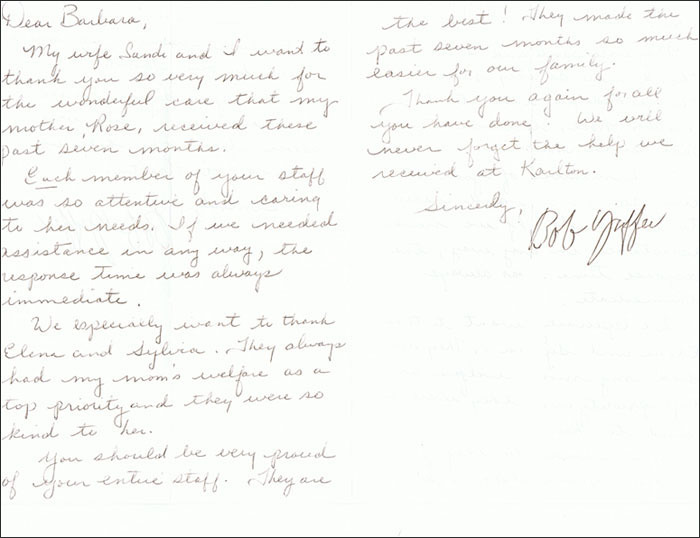 The staff are truly angels, making the very best of any challenging situation. Elena's kindness, knowledge, availability and helpfulness is to be commended. The lines of communication were always open, responding to any situation that arose immediately. The special effort everyone went to, when I was going to take mom out to lunch, was appreciated; making moms hair look nice, a little makeup, always clean and nicely dressed. A special thank you to those involved that I never really knew about. I could pick mom up and take her out, or come visit, but you did all the hard work, that goes with caring for our loved ones with dementia. In the final days of moms surrender, I saw first hand the compassionate care the staff gave to mom and everyone, as I sat long hours with her. It is almost incomprehensible that mom has gone; that I won't be picking her up for a ride, lunch, or just going for ice cream. 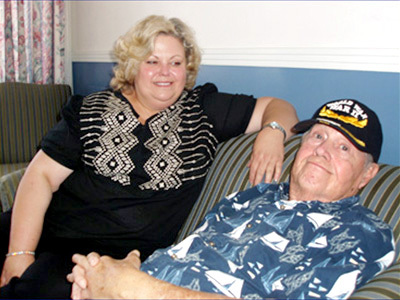 Janice Fitzek was under your care for three and a half years, and thanks to your expert care, lived with as much dignity as her condition could afford. 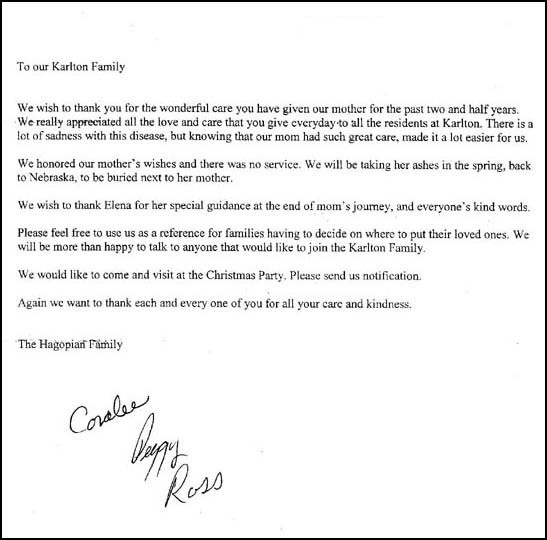 As difficult as those 3 years were for us all, I left knowing I had made the very best choice for mom in choosing Karlton. It was meant to be, Barbara, that we meet that fateful day at Pier 1 Imports! I saved your business card for 4 years before we needed your expertise. I thank The Lord you were there in our families time of need. © 2016 Karlton Residential Care . All Rights Reserved. Website by Media.Voyage .